This project is for people looking to program their own custom or re-themed pinball machines powered by either the P-ROC or P3-ROC (available from pinballcontrollers.com), using the SkeletonGame+PyProcGameHD Framework. PyProcGameHD is essentially a fork of PyProcGame, a Python based pinball programming framework. PyProcGameHD does not support traditional DMD hardware, but instead supports modern LCD displays (e.g., in the backglass or apron) for high-resolution, full-color animations and effects. The display code is written using SDL2/OpenGL based hardware acceleration. SkeletonGame runs on top of PyProcGameHD. SkeletonGame tries to reduce the amount of code you need to write to create a new game, by including code for most of the ‘typical components’ found in every game. PyProcGameHD replaces the previous “HD VGA PyProcGame” and it’s functionality is a superset of that version. It has been re-written (and aggressively optimized) to leverage SDL2 (OpenGL) graphics hardware acceleration features. Many things are now possible with nominal overhead, including ‘dot-filter’, alpha transparency, per-pixel alpha, just to name a few. The prior PyGame-based version is available for those who might need it for some reason or another. Note: If you wish to have projects running on different versions of PyProcGame, the easiest way is to just include the appropriate version of PyProcGame’s procgame folder as a subfolder named procgame in your game’s folder. SkeletonGame is a collection of classes to speed up new game development that is also included (and maintained) as part of this release. If you are a new P-ROC developer, you should strongly consider using it. The idea being that most games all have the same core functionality, and that you shouldn’t need to code those things. SkeletonGame is a logical extension of PyProcGame’s BasicGame class and includes many things that were lifted from the JD sample game. have VERY few lines of code in the Game class. spend most of his/her time coding the logic for modes. use helper functions to quickly display “DMD” content. It leverages everything that those of use who use PyProcGame know and love, and only intends to streamline things. It should help you make games faster. If you have an existing PyProcGame project, you may choose to forgo SkeletonGame, and may migrate to the HD Framework with very minimal code changes. That said, I wouldn’t recommend it. Having worked on a few P-ROC projects now, I’ve tried to distill the common bits from each of those games so that I can avoid rewriting the same lines again and again. It also tries to organize and automatically handle the flow of the larger ‘game’ events (game starting, ball starting, ball ending, etc.). A game class that is subclassed from SkeletonGame should be very short. The example provided is fewer than 60 lines if you exclude imports, comments and whitespace. Most of your code should be present in your mode classes, instead. a better Player class: supports player state tracking built in with appropriate methods for access. … score display essentially based on Adam’s but updated to use color fonts, background animations, etc. If key is a list, it builds a grouped layer for all the keys. If text is a list instead of single string, all the text is shown on the frame. A single line is centered vertically, two lines are shown at 1/3, and 2/3, three lines at 1/4,2/4, and 3/4… You get the idea. Automatic state progressions without having to code for it in your game. No more calls to start_ball(), end_ball(), etc. A small and hopefully well commented example game based on T2. more features to the bonus mode: using a yaml file to define about valid bonuses, score per award, Max numbers to allow of said award, etc. the tally is still in progress –this is not totally done. Your game class should not call game_start, ball_end, etc. It should also not need to override these methods. If you feel you need to, you should contact me so I can change the framework. As designed, SkeletonGame (and its constiutent parts, including the attract and bonus modes) will handle the successive event progression. Then, any AdvancedMode derived modes that you initialize are automatically added to skeletonGame’s ‘known modes’ so it can add/remove them for you, based on their mode_type (game, ball, system, custom). 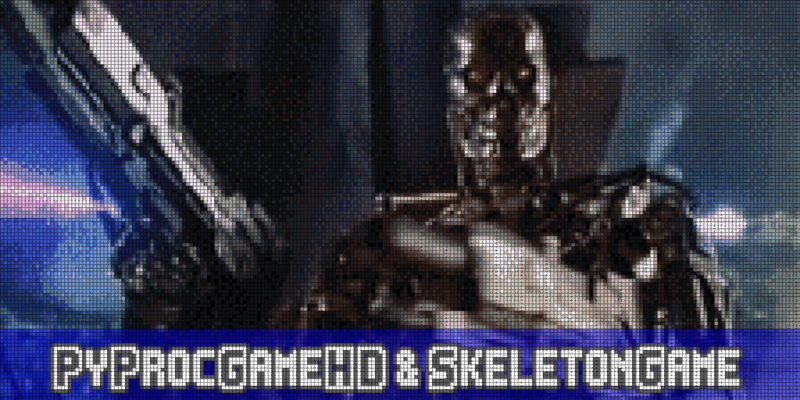 The SkeletonGame version of reset() protects the modes that need to be in the game. The old reset method would remove ALL modes from the game, but reset() in skeletonGame’s will re-add modes that should not be removed and protect certain modes (e.g., the OSC controller) from being removed at all. Then, SkeletonGame takes over again, initiating the attract mode from the yaml file. find modes with method evt_ball_starting and call them as above. finally, add a ball to the shooter lane; if the ball does not actually close the shooterlane switch, the logic will continue to try to re-feed the shooter lane. The ball is not considered successfully launched or in-play until that switch has been closed.